An adorable ‘wobbly kitten’ that suffers from a neurological disorder has found a new home. 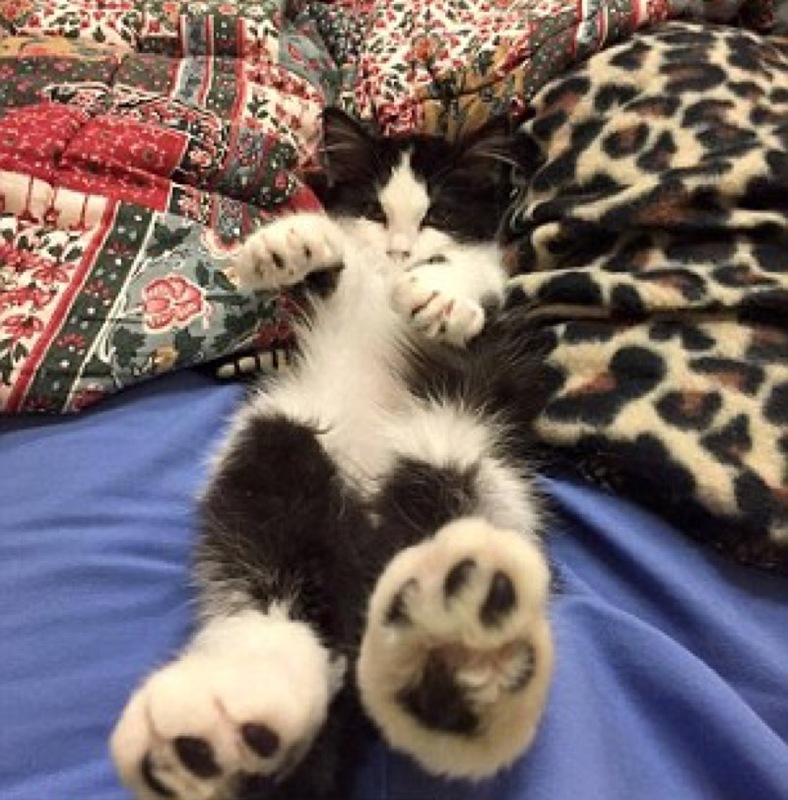 Four-month-old Olive, a black and white feline with Wobbly Kitten Syndrome (known as Cerebellar Hypoplasia), has now been adopted from the Watauga Humane Society, North Carolina. 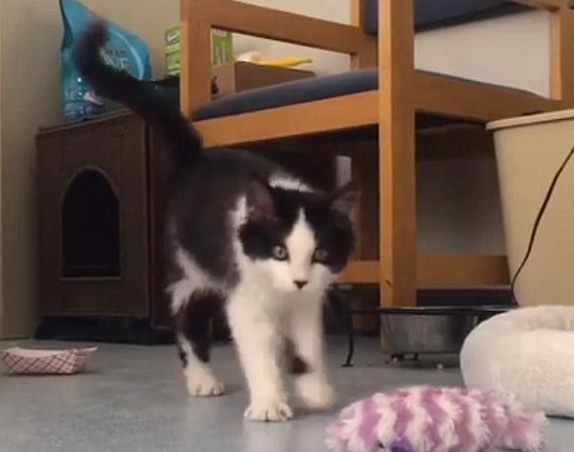 This adorable kitten was brought into the shelter as a stray in November and captured the hearts of millions last week after a video of her was posted on the shelter’s Facebook page. After sharing that Olive was up for adoption, the shelter was flooded with emails, applications and phone calls from as far as Australia with people interested in making her part of their family. However, the shelter decided to match Olive with a local woman who has experience working with special needs animals. With all the attention she has received, Olive’s new family will be setting up an Instagram account to document the kitten’s new adventures. Olive may wobble when she walks, but that didn’t stop her from finding her forever home.